Framing is the most fun part of building. This is where all of your work becomes tangible. It actually starts to look like a house. 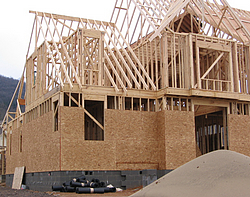 Framing begins immediately after your foundation passes inspection. Take a moment to congratulate yourself. 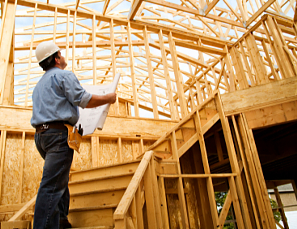 You are a builder and this is your house. If you can’t reach far enough to pat yourself on the back, your lumber sales rep will be glad to do it. She’s making a commission off of your good work. He does just what the name says ─ he builds the frame. And that’s the whole thing, all walls, floors (unless the house is one-story on slab foundation) and the roof decking. 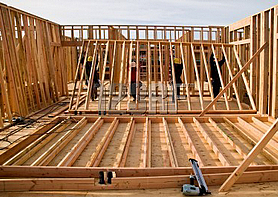 The framer builds everything needed to get your house ready for shingles and mechanical rough-ins inside.